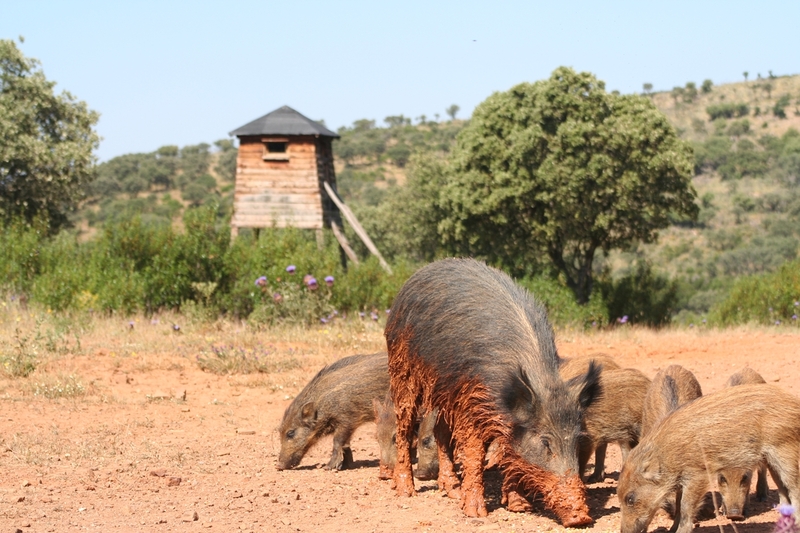 Stalkings and waitings - Big Game Hunting Estate in Spain. "Los Claros"
The estate has several strategically distributed observation towers and huts that will allow you to enjoy splendid waitings to complement the stalking sessions. You will be able to enjoy stalking outings from the beginning of September until the last day of the hunting season. The rut season is especially impressive in “Los Claros”. During this period you will be able to find the best deer and there is a high probability of finding a good trophy in a couple of days. In “Los Claros” you will also find some of the best Iberian mouflons in the world. If you are interested in hunting deer or mouflon here, don’t hesitate to contact with us for further information. Also, if you wish, there is the option of going for wild boar. During the stalkings, hunter and companions can stay at “El Cortijo” (estate house) in a double bedroom with bathroom included. Food-wise, we can prepare any menu if notified early enough. For prices please write us. Hunting dates for deer, mouflon and wild boars, are available from September the 1st until the last day of the hunting season (mid February) except 11th, 12th and 13th of October and from 23th December until January the 7th, inclusive. It is also possible to hunt Roe Deer from April 1st to the last day of July inclusive. Once agreed the dates of stalking-waiting with "Los Claros”, you can book the game reserve, will be at your disposal exclusively, for hunt, during the chosen days. Once the date is agreed, the booking of your hunt will be confirmed after payment of at least 50% of the total purchase value has been made (This amount will lose if the hunter does not appear on the dates agreed). If the remaining amount to be paid still exceeds 2,500 € another payment shall be made at least 30 days before the hunting date. Extras not considered in advance, will be paid in cash once the hunt has ended. 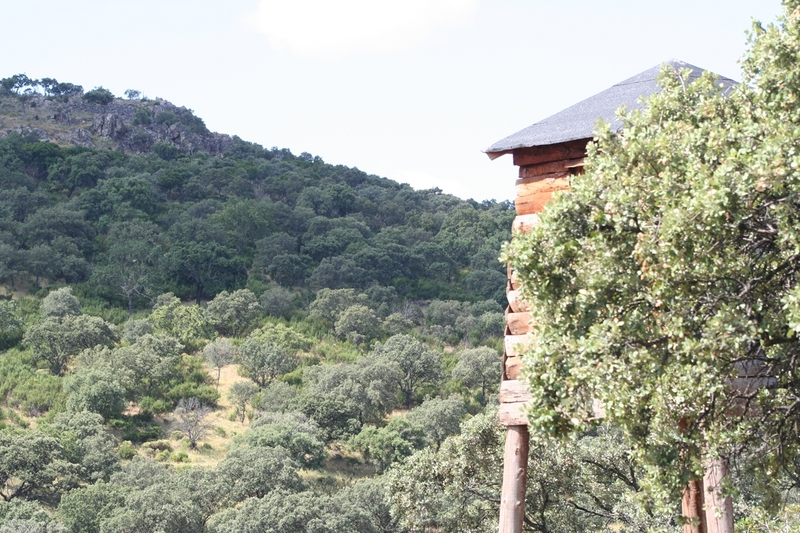 The accommodation and meals for hunters can take place inside "Los Claros" game preserve. You can see photos of the facilities of the hunting estate. At “Los Claros” lodge, we can offer only a double room with bathroom, several lounges with fireplace, garden, pool and service 24h. At “Francisquillo House” are available: 1 twin bedroom, 1 bedroom with a double bed and 1 bathroom, downstairs; and upstairs a loft with 6 beds and 1 bathroom. This home also has a kitchen, pantry, inner yard and two lounges with fireplaces. Here meals must be arranged with several hours in advance. Regarding the required documentation, all hunters must present the compulsory insurance, firearm license, weapon guides and the hunting permit for Castilla-La Mancha. If you wish, we can take care of the hunting permit and the insurance. All weapons and ammunition must be adequate for the type of hunting to be practiced. If you do not wish to bring your hunting arms with you, we have a range of our own available for hiring. Once in the hunting estate, and before the hunt takes place, the hunter shall be submitted to a shooting test where he will have to strike a 20cm diameter target placed at a 100m distance three consecutive times. The hunter will be at all times accompanied by the guard or anyone designated by him and will only be able to shoot at an animal when authorized by a guard. Unauthorized shooting will mean a 5,000€ sanction which will be added to the hunted trophy price. Bow hunters will also do a shooting test. It will be needed to strike a 10 cm diameter target placed at 30 m distance, three consecutive times. Bow hunter’s arrows will be inspected before and after all hunts. Previously used arrowheads will not be allowed. All arrows will be marked with the Passport Number of each hunter. As usual in all hunting estates, if a client wounds an animal, the animal will be considered hunted. Once the dead animal is found, the trophy shall be measured for final settlement. The measurement is made (on-estate) by Mr. Pedro Corell jr, following the evaluation criteria of the Safari Club International –SCI method–. In case of disagreement with the measurement, the trophy will be send to a Master measurer in Spain. After receiving the final settlement by bank transfer, the trophies will be sent to the hunter. Otherwise, the trophy will remain on the estate.